A mixture of the quaint and quirky, Linden's main high streets 4th Avenue and 7th Street are known as much for cool cafes with a hint of hipster aesthetic like The Whippet, as for long-running family business such as the Arthur Bales haberdashery and the famous Cheese Gourmet cheesemongers. 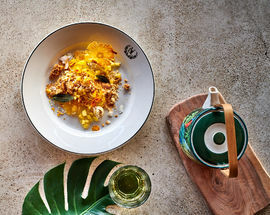 Bringing a hint of fine dining flair into this mix is Van der Linde (named for the suburb's founder Johannes van der Linde by the owner, a film studio owner and Linden local), a contemporary restaurant that manages to be both sophisticated and down-to-earth at the same time. The waitstaff are friendly, the charming executive chef Amori Burger (of Afrikaans food show Op Die Spyskaart fame) is always on hand and there's a broad choice of seating to suit all moods even including a private dining room with its own wine cellar and a discreet side-street entrance. 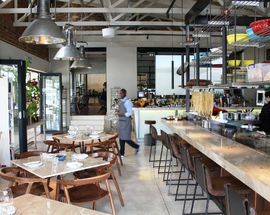 The interiors tick all the boxes for smart elegant not-too minimalist design, with smart marble bar counters, sleek wooden furniture and industrial-style light fittings offset by abundant greenery including an impressive collection of lovingly cared for bonsai. 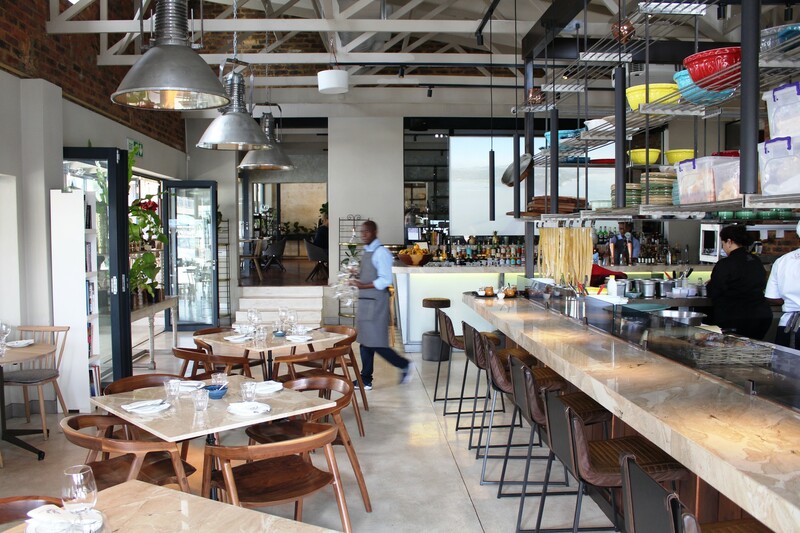 For the non-VIP diners opt for a stool at the gin and juice bar with its hypnotic visuals beaming out soothing videos of tropical surrounds, a table on the expansive wraparound terrace with a view of the Joburg skyline looming large over the distant ridge or sit at the counter overlooking the open kitchen and watch the chefs at work. 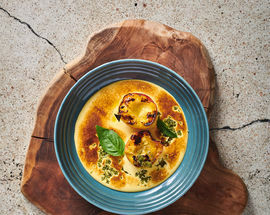 When it comes to the menu there's also a great degree of flexibility with separate breakfast, lunch and dinner menus, all of which strive for well-executed simplicity and the occasional tendency to give classics a contemporary tweak and twist. 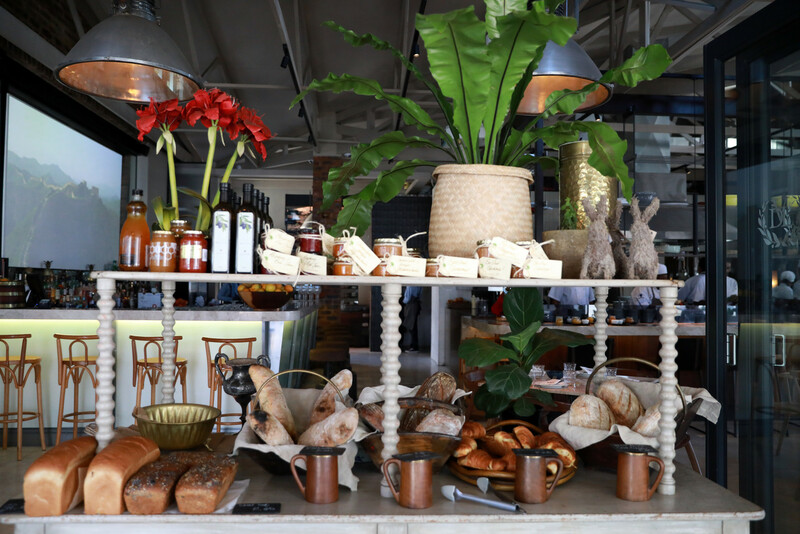 The extensive breakfast menu is particularly noteworthy with extensive 'build your own options' as well as an extraordinary offering of breakfast greatest hits including eggs benedict, avo on homemade toasted rye, salmon scramble and chia pudding. 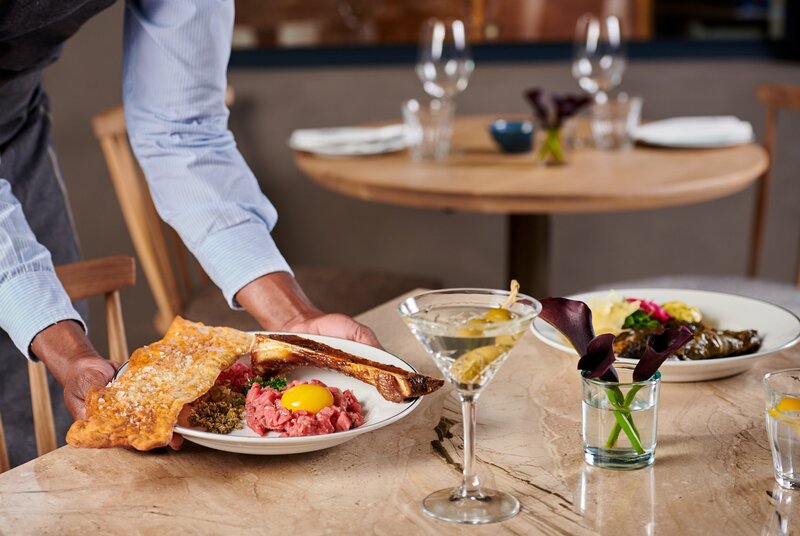 Van der Linde pours its creative energies into devising dishes based around outstanding local ingredients, whether it be the finest extra virgin olive oil or award-winning South African cheeses, and to this end also has its own bakery where the restaurant's breads and baked goods are made daily. For starters try the luxurious jamon iberico, made the authentic Spanish way from acorn-fed black Iberian pigs, as well as a super creamy ball of burrata served with charred grapes and a moreish garlic confit (which Burger accurately describes as 'basically crack'). 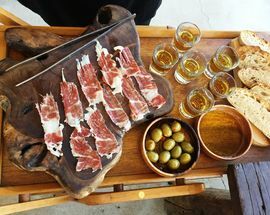 Another highlight is the charred shishito peppers, flash-cooked in the restaurant's red-hot pira oven and served with an award-winning farmhouse goat cheese, supplied by Linden's famous cheesemonger Cheese Gourmet. 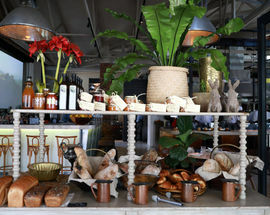 All of it accompanied by a selection of the day's selection of fresh sourdough breads. 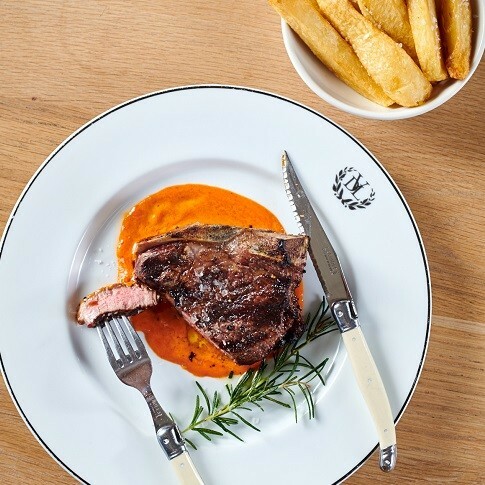 For mains we favour one of the 'meals for two', a great way to enjoy plenty of starters without having to skip the entree or from the lunch menu, a beer batter kabeljiou with chips or classic beef burger (there's certainly something to be said for Van der Linde's perfect chips). Vegetarians will be delighted to see lots of imaginative plant-based options – from the salad selection the roasted cauliflower and parmesan salad with sweet potato and butter beans is a standout. 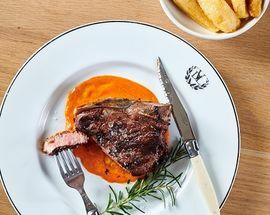 On the dinner menu regulars tip the harissa grilled paneer with roasted pumpkin biryani for vegetarians, while Burger herself lists the rack of lamb with tonnato sauce, salsa verde and deep-fried white anchovy as a personal favourite. 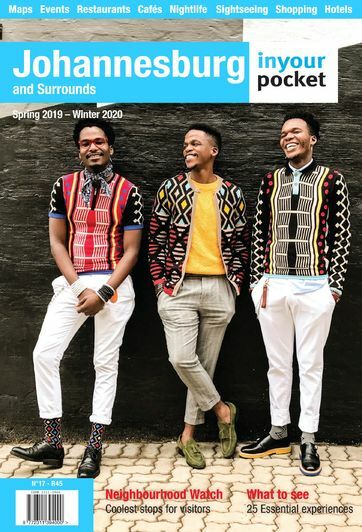 By her own admission Amori Burger doesn't have a big sweet tooth, which is great news for those diners who are usually put off ordering desserts in South African by an abundance of cloyingly heavy and super sweet dishes. 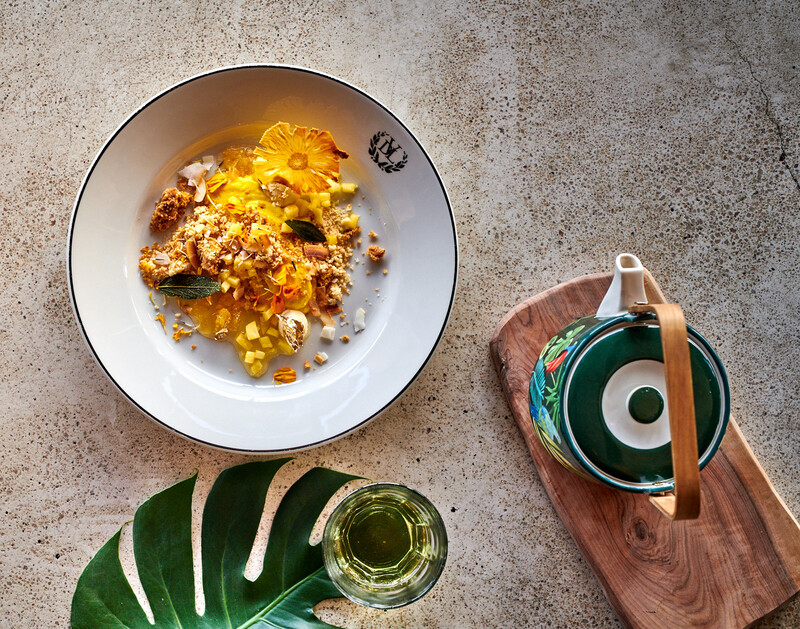 Undoubtedly one of the most memorable desserts we've eaten in a while, the signature marigold mousse served with candied pineapple and coconut crumble, is a winner. Super light and oh-so pretty it's an interesting mix of subtle flavours and textures that was created as a special for Diwali but proved so popular it's never left the menu. 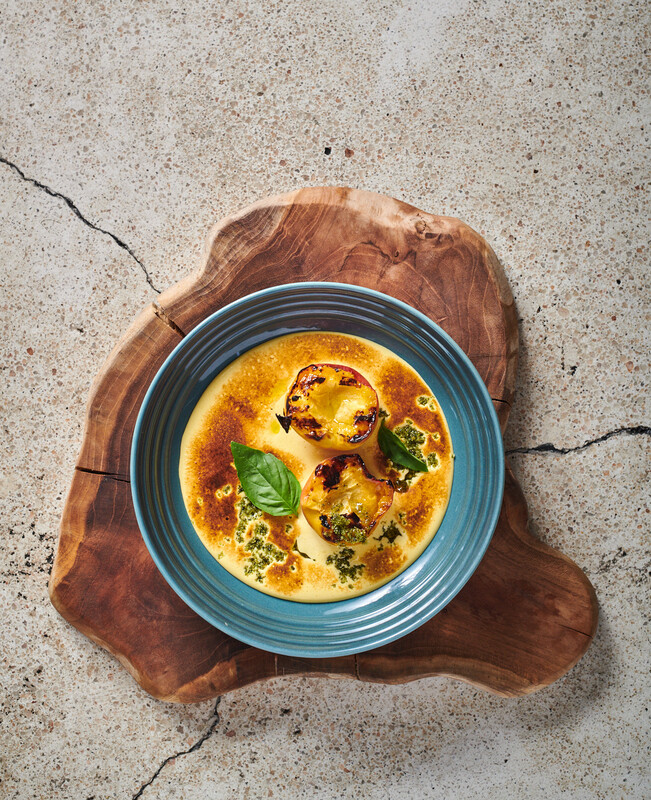 Our fellow diners also rated the fynbos-poached stone fruit dessert for similar reasons. Served in an addictive basil sugar sweetened sabayon (a light Italian sauce made of egg yolks, sugar and wine), we almost had to be held back from licking the plate clean. Ok, we loved our meal there and it's definitely on our places to return list. Open 07:00–22:00, Sun, Mon 07:00–16:00.